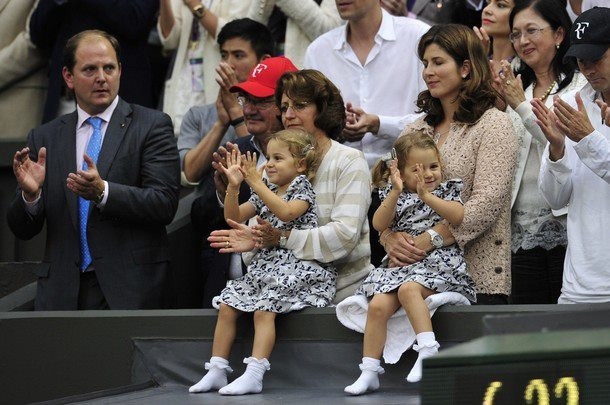 July 23 marks the birthday of the Federer twins, Myla Rose and Charlene Riva. 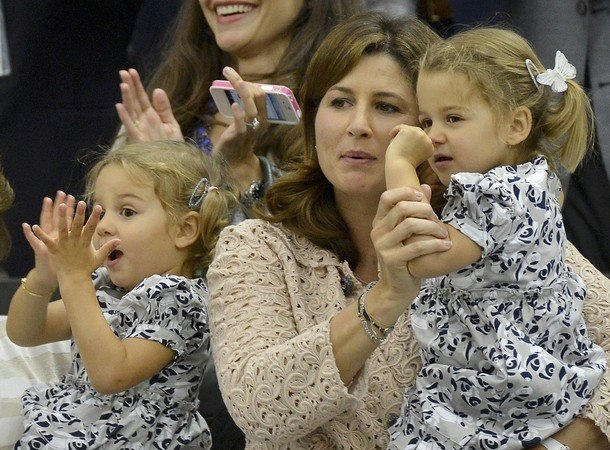 The twin girls of Roger and Mirka turn three today. FedererFan07 wishes the girls a very happy birthday and best wishes to the Federer family. The twins are a beautiful sight for everyone, and extremely popular among the Federer fans. The Swiss maestro is preparing for the 2012 London Olympics, which begins July 28. Opening ceremony is July 27. Stay tuned for more information on the draw and schedule later this week. Federer eclipsed Sampras’ record of weeks at #1 on July 16 (#RF287), and will be the first player to be ranked #1 at three consecutive Olympic games (2004, 2008, 2012). See more photos of the twin girls at Wimbledon here.